The number of parents refusing to vaccinate their children continues to grow. As a result, so do cases of preventable diseases like influenza, pertussis and measles. It’s a trend that troubles OMRF President Stephen Prescott, M.D. In 1998, a doctor named Andrew Wakefield published a paper falsely claiming he’d found a link between vaccines and autism. The paper has been retracted, Wakefield was stripped of his medical license, and numerous subsequent studies have shown no link between autism and any vaccine. “Despite overwhelming evidence disproving Wakefield’s findings, this fake science has taken on a life of its own,” said Prescott. 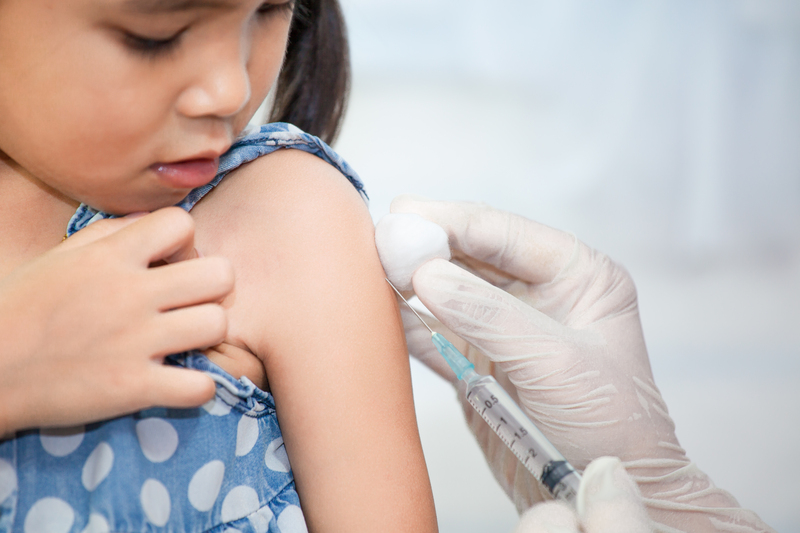 A recent report found many U.S. cities fall below the 90 to 95 percent threshold for childhood mumps, measles and rubella vaccination needed for herd immunity—a term meaning enough people are vaccinated to protect everyone, not just those who’ve been vaccinated. Herd immunity also guards children with compromised immune systems who cannot be vaccinated. For example, since being declared eliminated in the U.S. in 2000, measles has experienced a resurgence. Outbreaks like the one at Disneyland in California in 2014-15, which infected more than 130 people, are becoming increasingly common. All told, there have been more than 2,000 new measles cases nationwide. In Great Britain, where vaccination rates fell significantly following Wakefield’s study, public health authorities put forth a sustained, concerted campaign for childhood vaccinations. The rates have since climbed back to 95 percent. Many U.S. states are now taking measures to boost immunization rates. And three—Alabama, California and West Virginia—have banned all non-medical exemptions for childhood vaccines.